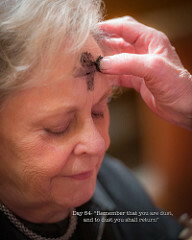 the act of receiving the sign of the cross with ashes on forehead during mass on Ash Wednesday. The ashes are collected from the palms used on Palm Sunday. Traditionally, believers attended morning mass, after which the fast was broken with bread for breakfast. The English began to make a sign of the cross on their bread. Grind clean and well-peeled barley into flour. Set aside. 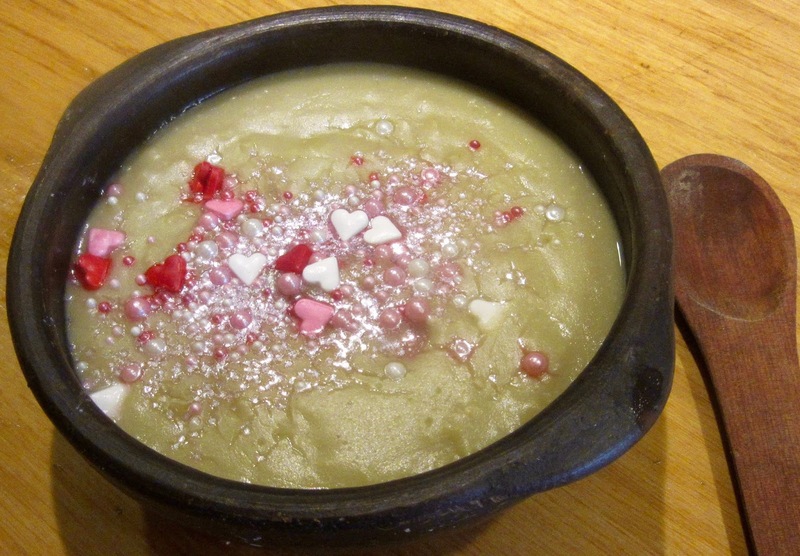 Peel almonds and grind in food processor with barley and chicken broth. Stain through a strainer into a bowl. Discard solids in strainer. Place a cheese cloth over the strainer and pour the liquid into a pot. Bring to a boil uncovered and let boil 5 minutes. Reduce heat to minimum and cook about 20 minutes or until thick and well done. If the porridge is not thick enough add one tablespoon of flour at a time until desired thickness is reached. Remove from heat. Flavor with salt and sugar if the consumer is ailing but does not have a fever. Honey may be used if sugar is not available. Serve in bowls.